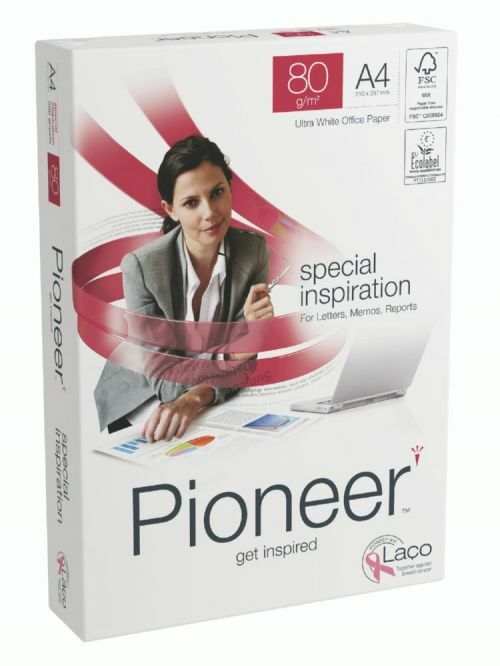 Pioneer is a premium, high white office paper that will create an impact and is guaranteed for colour work on laser and inkjet printers and copiers. It is ideal for important communications, including colour presentations, reports and corporate stationery, ensuring you make the right impression at all times. 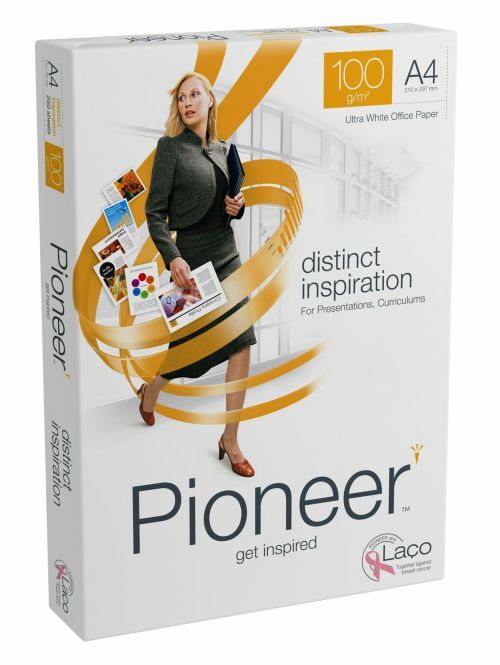 Use For: Full colour documents, high volume printing, duplex printing of reports, presentations, photographs, letterheads. Techniques: Full colour laser, full colour inkjet, plain paper fax machines, high volume printing, duplex printing. FSC certified for environmental piece of mind (all except 160gsm). Guaranteed for use on all office equipment. High opacity reduces show through from double sided printing. High rigidity and bulk allows fast and smooth printing. Ultra white for excellent colour print contrast and definition.